Did you know that 77% of Vermont schools offer school-based mental health services to Vermont’s most vulnerable children and families? Many Vermont students struggle in school because their ability to learn is impeded by exposure to toxic stress. Stressors often include homelessness, food insecurity, and exposure to parental substance use and mental illness. Not only do these early challenges impact school performance, studies such as the landmark ACES study have shown that they have long term impacts on health throughout the lifespan. 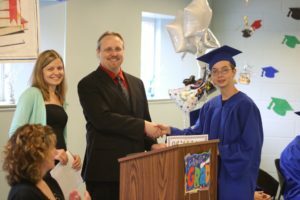 When students become clients of our school-based mental health programs, they then have access to numerous additional supports, including psychiatric medication management, crisis services, respite, groups, family coaching, and counseling for parents. Schools know that partnering with our agencies opens the door to a strong safety net for families that will help them access key social determinants of health and safety, such as housing, transportation, and employment. Without access to these supports, kids are more vulnerable to costly institutional or residential placements, truancy, and disciplinary concerns. By helping kids access their education, they can take the transferable skills and maintain employment and economic and social stability as adults. For some youth, a mainstream school setting is not safe for them or their peers. Our 14 therapeutic schools work with approximately 300 Vermont youth who are most at risk, providing evidenced-based treatment in small settings with a goal of graduating and finding employment. Vermont is committed to serving kids in the ‘least restrictive’ setting, which means whenever possible we keep youth close to their communities over hospitalization, residential placement, or involvement with corrections. 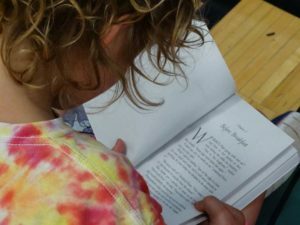 At Northeast Family Institute’s schools, 31% of students are able to successfully return to their sending school each year, students achieve an average increase of 2.4 reading levels. Explore more information about our therapeutic schools here from our presentation to the Vermont House Education Committee. Visit our website for a link to each of our independent schools. Learn more about our school-based mental health services by checking out our presentation to the Vermont legislature or visiting our website for more information about each agency.